Capturing images of the performing arts is a specialty of mine, as well as one of my absolute favorite genres of photography. 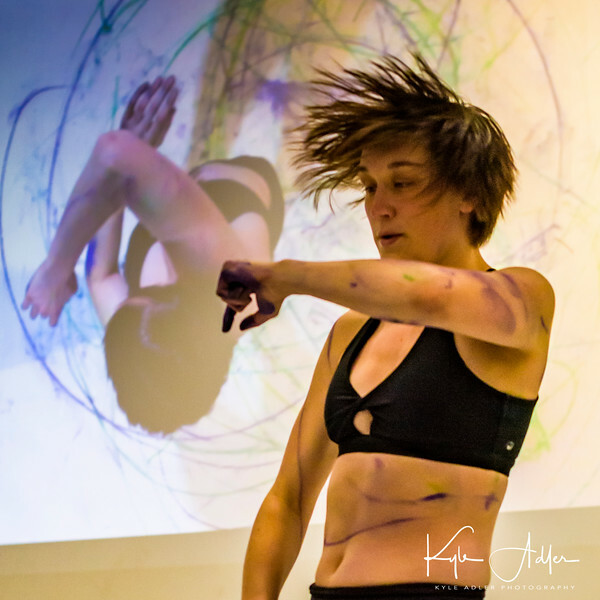 But as gratifying as I find documenting live performances of dance, music, or theater, there’s a whole higher level of photographic joy available from capturing the artist’s creative process before their work reaches a public audience. Today’s post focuses on a recent behind-the-scenes shoot that I did for a friend and longtime collaborator, Arina Hunter. I arranged to shoot her dress rehearsal just before the first of two public performances as part of San Francisco’s SAFEhouse for the Arts RAW (Resident Artist Workshop) program. 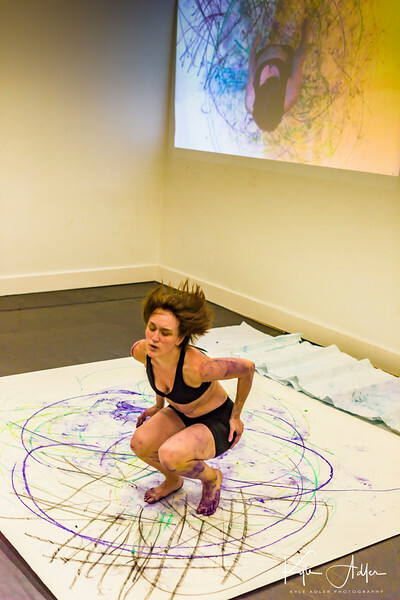 Arina was preparing to perform an untitled work-in-progress which was quite complicated technically, so it was fascinating to watch her process of making artistic decisions and readying herself and the technical crew for the evening’s show. 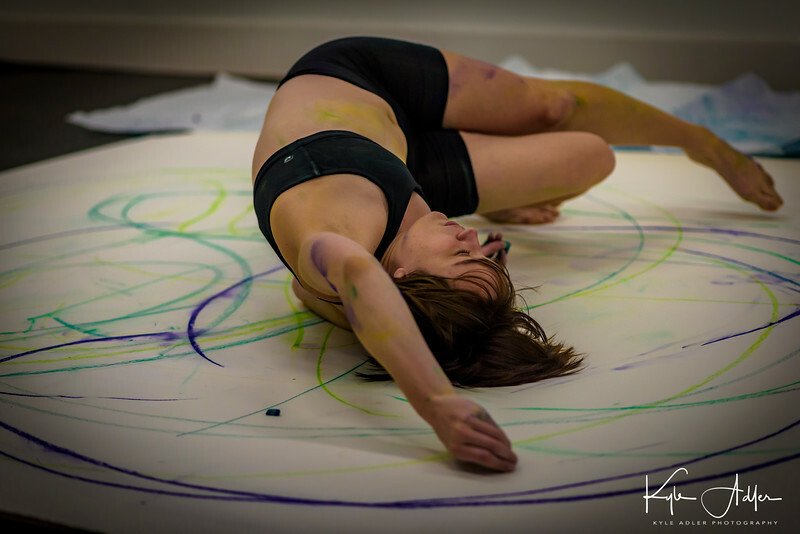 Read on to see some of my favorite images from the rehearsal, accompanied by a few thoughts about my own artistic and technical process that went into the capture of Arina’s work. All of these images are available for sale on my website. Just click on any image to view them in the online gallery. The creative process is about more than just practicing for a performance. Try to include some wider views depicting the artist’s full environment including equipment, sets, and performance space. The flip side is that it’s also important to get up-close and to capture the physical work that goes into preparing for a performance. Shoot plenty of frames to maximize the chances of capturing the “decisive moment” when the artist’s work comes together as an integrated whole. Typically there are several different moods evoked in a single piece of art. 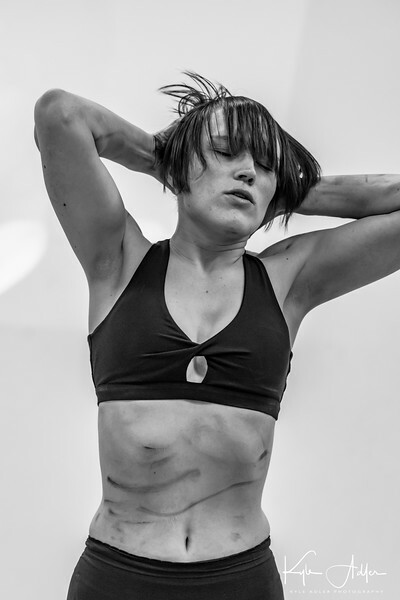 This image captures a vulnerability and poignancy that informed Arina’s work even as much of her physical performance exudes strength. Finding the right perspective to convey each mood is key to making successful images. When post-processing my images, I ask myself how can my own technique best convey the artist’s intention. For this image I decided a monochrome conversion would best render Arina’s physicality at this precise moment during her process. Freeing the viewer from the anchor of color perception, a black-and-white image is graphic and timeless and allows us to focus on what is elemental: form, contrast, shadow, and light. 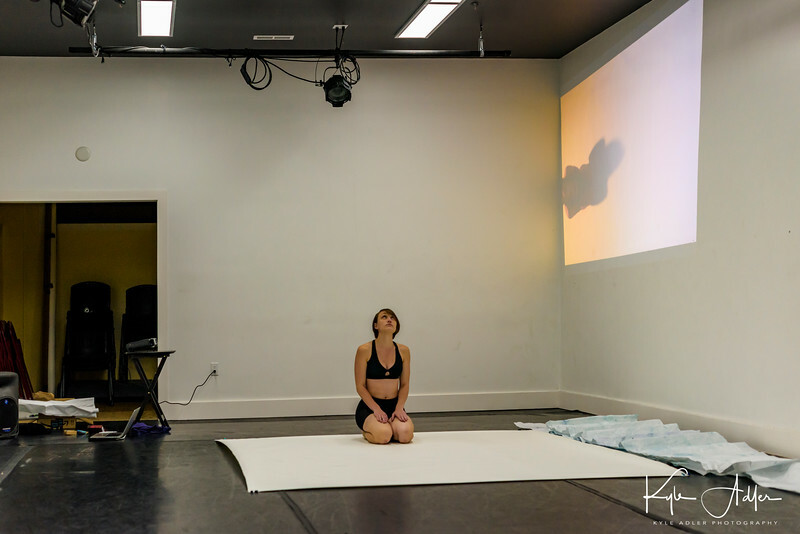 I shot this image from a low perspective near the ground so as to juxtapose Arina’s body with the projected video image on the wall. Always look for a different perspectives while shooting that can create compositions to get across your intent. Another example of perspective: To make this image I climbed on top of a chair and shot down on Arina in her performance space. Sometimes the details convey the story better than the whole. 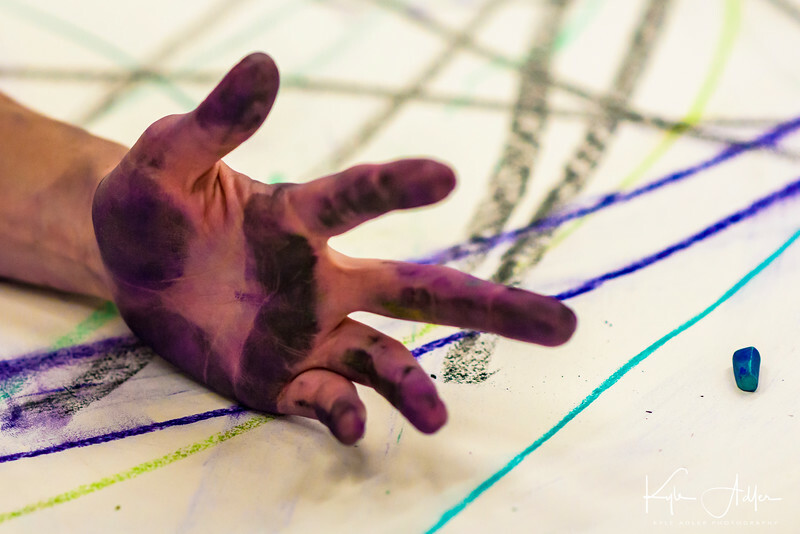 This closeup of Arina’s paint-covered hand framed by colorful canvas makes a powerful summary of her performance piece. Today’s post has been a bit more conceptual and less technical than most of my posts. The purpose is to get you thinking about how our own art of photography can be harnessed to capture the creative process of other artists. The next time you are privileged to get to shoot an artist at work, think about how you can apply elements such as composition, perspective, color, texture, empty space, motion, and stasis to capture compelling images of the artist’s own vision! Do you have techniques you’ve used to document other artists’ creative process? Please share your thoughts here. Want to read other posts about photographic techniques? Find them all here: Posts about techniques.